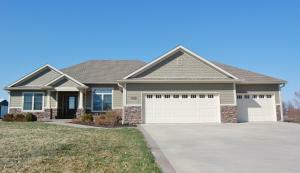 Beautiful ranch walkout with an open floor plan and split bedroom design!! 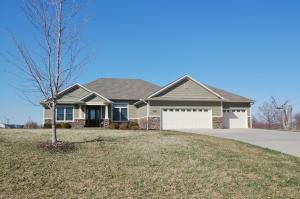 Situated on a large lot this home is adorned with hardwoods floors extensive trimwork. The kitchen features beautiful cabinetry, stainless steel appliances and a large pantry off the laundry room. 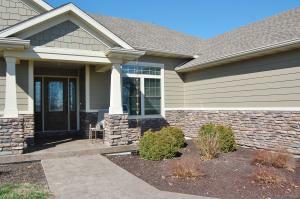 The basement offers a large family room, extra bedroom and bathroom and a plethora of storage. The unfinished basement also has John Deere Doors and a storm shelter.